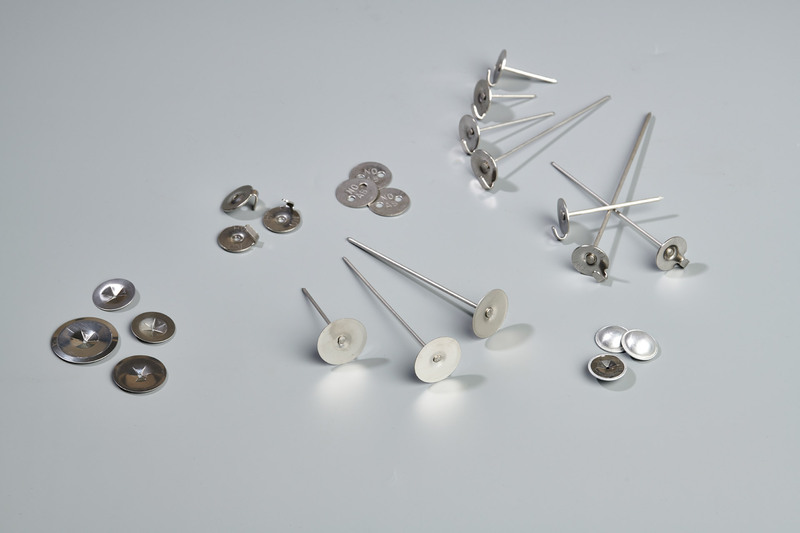 Anchors, Pins, Washers & Accessories - ACS Industries, Inc.
Our Lacing Anchors, Quilting Pins, Self-Locking Speed Washers and other accessories combine high strength with easy assembly. Used for securing attachment and protection of the insulation blanket, our products are manufactured for high temperatures in both exterior and interior applications. At ACS, our Lacing Anchors are for attaching and securing removable and reusable insulation blankets. For best results, the nail of the Lacing Anchor should be pushed through the front side of the blanket so the Lacing Anchor head is snug against the pad with the nail extending out the back side. We offer our Lacing Anchors in the following dimensions. Designed in the same pattern as the Lacing Anchors, our Quilting Pins are made to secure the insulation inside the blanket in its place. This is to ensure that the insulation inside the blanket doesn’t settle down or slide around inside and create openings in the insulating envelope created by the removable and reusable blanket. We offer our Quilting Pins in the following dimensions. Designed to complement both our Anchors and Washers, our Self-Locking Washers are pushed down over the nail until the blanket is snuggly sandwiched between the washer and either the Lacing Anchor head or Quilting Pin head. We offer our Speed Washers in the following dimensions. In addition to our above products, we also offer the following complementary accessories.